Hear stories from DCRC visitors and workers and how the rec center has impacted their lives. 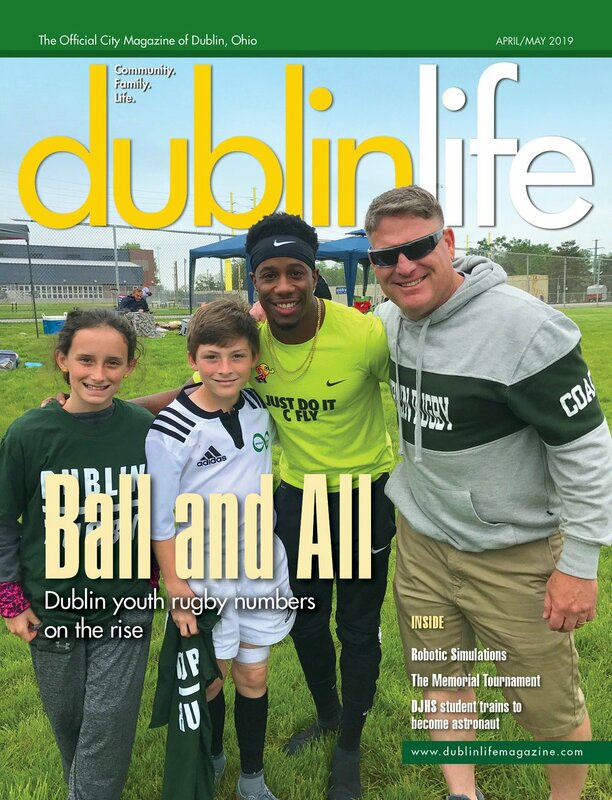 For more than 20 years, the Dublin Community Recreation Center has allowed families and local residents to enjoy an abundance of activities and programs. In order for such opportunities to be available, passionate employees need to provide meaningful resources and curious visitors need to realize the value of such a center. Although Florence Rings lost her vision 11 years ago, she still walks in the lazy river at the DCRC. Her daughter-in-law, Debbie Rings, helps/guides her in the pool. Florence Rings embodies Dublin. At 102 years old, Rings has lived in the area since she was 4 years old. When asked why she has remained in Dublin, she’s stunned. “This is home, I’ve never thought about moving,” she says. Rings’ stays involved in Dublin, and one of her favorite places to go is the DCRC. Back when the center was brand new, Rings read about it in the local paper, but she wasn’t convinced to go until her neighbor paid a visit. “She said, ‘The rec center just opened and it’s a great facility, and I think you should go,’” Rings says. Rings has been a member of the DCRC for about 20 years. Wanting to stay in tip-top shape, Rings visits the center twice a week and walks around in the lazy river area with assistance from her daughter-in-law, Debbie. In the past, Rings participated in the Dublin Community Senior Citizens group based at the DCRC. Because Rings has traveled all over the world – from China to South America and more – she enjoyed the day trips and longer bus trips once offered by the DCSC group. Now she prefers to stick to swimming. Kim Wigram visited the DCRC as a child and found swimming to be one of her favorite activities. By the time high school rolled around, her passion for aquatics hadn’t swayed and she excitedly took a lifeguarding position at the center. Even while earning her bachelor’s degree at West Virginia University, she found time to lifeguard during the summer and holiday breaks. After college graduation, Wigram wasn’t sure where she wanted to begin her career, until she discovered an open full-time position at the DCRC within the aquatics sector. From helping with program coordination to teaching safety and pool operations, Wigram oversees the entire aquatics department. One of her favorite parts of the job is seeing young staff members flourish. She decided to use her Boy Scouts of America lifeguard certification to get a job at a local gym, but while recertifying her American Red Cross qualifications she ran into the previous aquatics director for the City of Dublin. Through the years Gleditsch has taught several swim courses, where she enjoys seeing members overcome their fears of swimming, and art classes, putting her bachelor’s degree in art education to good use. For almost 23 years, Gleditsch says her position at DCRC has given her an outlet to not only express her personal interest but help members discover new talents or grow as individuals.